After living in France and French-speaking Switzerland for a couple of years, my husband returned with a tiny notebook full of simple recipes. Top of the list? a recipe for authentic French crêpes. 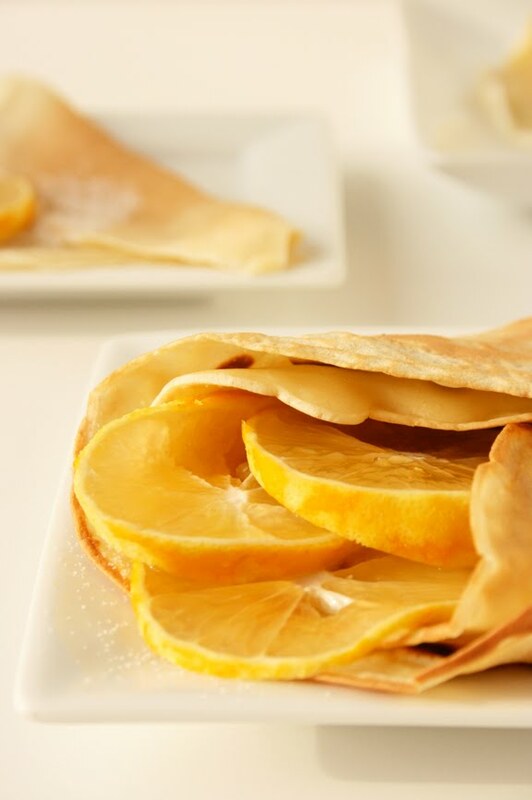 These days we are on a bit of a crêpe craze and have been putting the recipe to excellent use! Given our recent obsession, I thought it would be fun to share the recipe with you over at Zupas today. Bon appetit! p.s. it's the same recipe we used during my daughter's Paris Party--it works for both savory and sweet crêpes fyi. thanks for the recipe - i'm definitely going to try it! I've tried them so many different ways... but one of my faves is with Swedish Lingon berries. Ikea has some amazing lingonberry preserves that are great with powdered sugar. Thanks for sharing! I make crepes every year to celebrate Bastille Day in July - I don't know why - we just thought it would be a fun tradition! My mouth is watering! I love crepes and these look so yummy!